Have confidence in your smile! Check out our many services to get yourself a bright smile today! 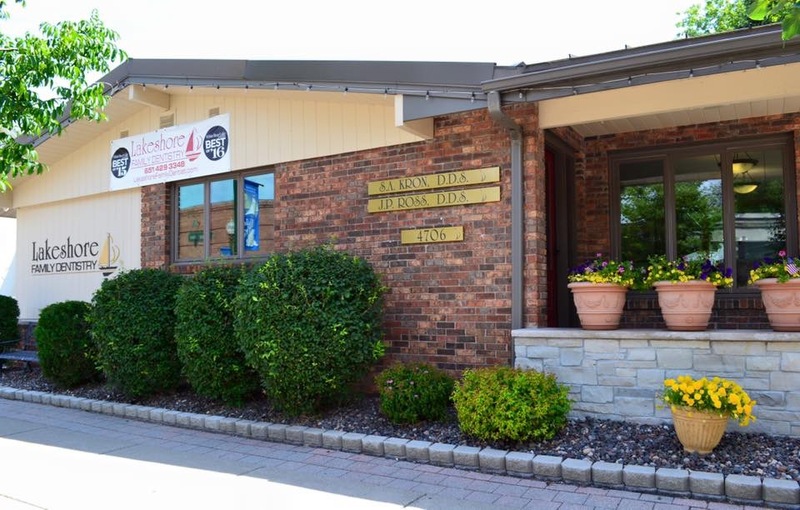 Since 1969, Lakeshore Family Dentistry has been providing the very best in dental care for our patients. Our experienced staff are dedicated to their patients as individuals and work with each one to develop the best professional relationship possible by having our patients discover a better life with great teeth. We pride ourselves with having excellent clinical and communication skills along with a passion for our work. From the moment you step in to our office, you are warmly greeted by our staff and treated like family . You will be welcomed in a comfortable and pleasant environment.We offer complimentary beverages and snacks for your convenience. Please relax in our office while you wait for your appointment and make yourself feel at home! I have over 40 years experience in White Bear Lake, MN. I continue my education taking courses with a special emphasis on orthodontics, including the new Clear Correct braces, restorative implants dentistry, cosmetic dentistry involving porcelain veneers and all porcelain crowns. I have 20 years of experience in White Bear Lake, MN. My main emphasis is on cosmetic dentistry, Invisalign clear braces, TMJ therapy, and dental implants. "I have been a client for too many years to remember and i want to tell you how pleasant it is working with Lakeshore Dentistry. They never cease to amaze me in how Dr. Kron and staff change the customer experience regularly and for the better every time. I plan on many more years to come spending time in the dentist chair at Lakeshore Family Dentistry." "I had a very pleasant time and everyone was very nice. They did there work quick and everything was done very well."